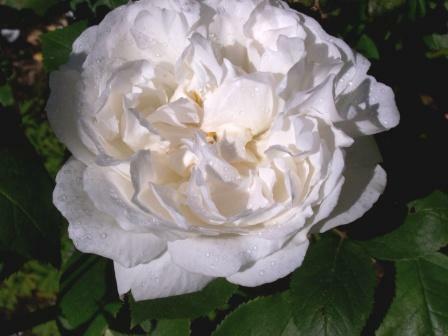 Originally entitled ‘Why do white flowers smell best?’ I have revised this article. Can you see a smell? The scent from this rose should be pulsing through the internet in waves of perfume. It certainly pulsed through the RHS garden at Harlow Carr with a far spreading aroma. The light rain (well it is an English rose in an English summer) probably enhanced the sweet scent as the fragrant oil was dissolved and let loose. Moss roses have furry growths which at a glance look like aphids but are in fact oil glands that provide fragrance. White flowers attract pollinating insects, butterflies and sometimes birds by the scent and source of nectar. They do not use colour for obvious reasons. For this reason white flowers in a species are often far more scented than coloured equivalents. Some of the most scented flowers are white including Philadelphus, Lily of the Valley and members of the Rose family. Is aesthetics a sixth sense? If so Gertrude Jekyll had it in abundance. 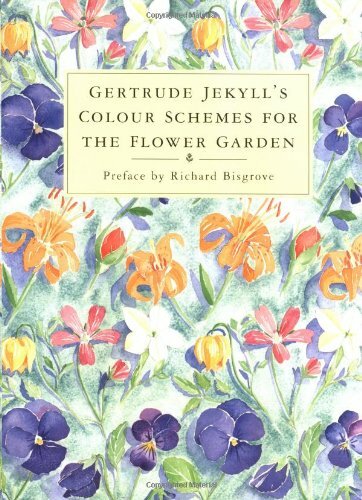 Gertrude created over 400 gardens and first published her work on colour schemes over 100 years ago. If aesthetics are a combination of all the senses including the common one then I would be hard pushed to say which was the more important. Common sense is trumped in the garden by experience but sight and smell are the top drivers of appreciation.